Formed from the ashes of US progressive rockers Salem Ash and Rain, Atlanta's Agent Cooper were a band I thought had fallen by the wayside, their last release being the excellent sophomore outing 'Beginner's Mind' back in 2005. They've been somewhat busy of late with members involved with Stuck Mojo, Fozzy and Rich Ward, but thankfully they've reconvened and hooked up with Universal for this delightfully catchy and clever six-track release with the self-explanatory title. 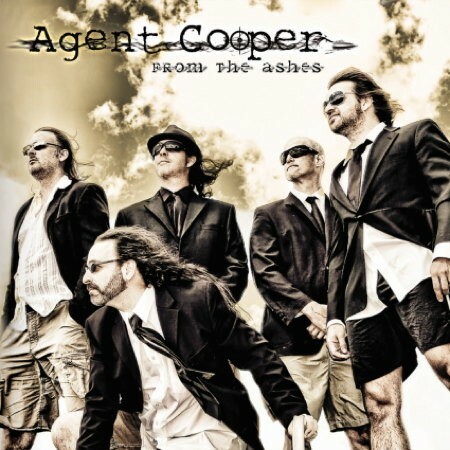 Agent Cooper operate at the more accessible end of progressive metal, all tunes having a traditional rock approach with the dazzling instrumental flurries and arrangements used sparingly, and all the more effectively because of it. Singer Doug Busbee is a high tenor similar to Michael Eriksen of Circus Maximus or Silent Wonder frontman Tommy Karevik, so there's no 'dark' in his voice or the sound of the band at all, their positive vibe giving them a strong crossover potential to melodic rock fans. There's not a substandard moment in these six songs, from the rocking opener 'Power' - whose chorus pops into my head several times a day since I first heard it - to the tricky guitar riffs and soaring vocals of closer 'Misunderstood', complete with a slower chorus that's redolent of Rabin-era Yes. As a change of pace both 'The Stand' and 'I Can' are built around acoustic guitar and old-school synth sounds, whilst the upbeat Mother has a plenty of prog-tastic guitar/keyboard interplay, a fluid, bouncy rhythm section and a quirky spoken part straight out of Saga's 'Generation 13' opus. Eric Frampton's delightful keys and Mike Martin's sharp guitar work are all over everything, and nowhere more so than the vigorous 'Tornado Dreams', on which the melodies rarely go where you expect them to but still end up lodged in your brain. 'From The Ashes' is a disc that you'll return to again and again, each time finding something new, so if you like music that's quirky and uplifting and with a high standard of musicianship and vocals, this will sit in your collection alongside the best of the genre. The only fault with it is that there isn’t enough; another twenty minutes of the same calibre would have made it a desert island disc.